My wife loves this and we had been paying way over the odds on Amazon and in department stores in the UK if we could get it at all. 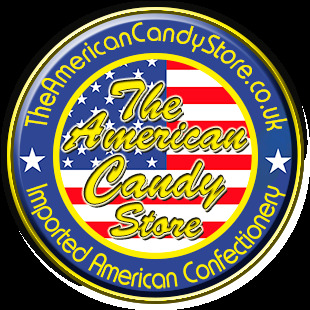 We will be ordering from The American Candy Store from now on. Great tasting root beer, super quick delivery. Had been searching for a decent place to buy a gift set of American sweets/chocolate for my niece's birthday and finally came across this site. The reviews were great so decided to go for it and I'm so happy with the service I received. I was kept up to date with my delivery and I ordered on the Monday and it got delivered within 3 days! Excellent service and great price, will definitely be ordering again soon. Thank you. Im pleasantly surprised, the candy arrived in perfect condition, right on time and none of the sticks were broken. I wasn't too sure if this website was trustworthy or a scam, I just wish most of the items weren't "out of stock". Will definitely be ordering again. I love fundips and I can't seem to find them in most American candy stores nearby. Soft and chewy cherry sour seeets. Not overly sour just the outer coating. The consistency is similar to Swedish fish with a sour sugar coating. Quite tasty. Basically it’s a fancy butterfinger with shredded coconut sprinkled on the outside. If you like butterfingers you will like this. Bought these to try as I though the flavour was intriguing but turned out to be really tasty. The seeetness goes well with the smoky bacon flavour. Also the crisps themselves are thin and crispy which I like as some crinkle cut can be quite thick and hard. Would buy again. My first order for Swedish Fish, delivered very quickly ; in perfect condition. Sooo glad I ordered this!! Missed it from when I went states and it tastes just as lush still. Wish they sold it U.K. but thanks ACS for the speedy delivery!! I’ll be making another order soon!! The flavor is good, a bit like a sweeter Ribena. Was surprised that it only has 10% juice though. These I have never had before so I thought I give them a go. Lovely peanut butter inside a toffee bar..crazy right? But it works so well. High in calories but lovely for a treat! So lovely so naughty and yummy peanut butter taste. Could eat them one after another but that wouldn’t be to good for the figure! A bit like a Dime bar but so, so much better ! Lovely thick chocolate and really crunch nutty bar. What can i say. This is the best drink i have ever tasted. If i could i would drink this all day everyday. If you havent alreay you need to try this. You will not be dissapointed. And to find a uk seller i am so happy. I will definately be ordering more! If I could rate Jolly Rancher Grape Soda with more stars I would. This is the best Gatorade you can buy. Such a nice flavour. Glad I found a uk seller ???? Ordered the Almond Hershey kisses along with some milk chocolate kisses, to put in our wedding favours for our upcoming wedding. We couldn't find any chocolate kisses in stores, and hadn't seen the almond kisses in the uk before. Both packs were the cheapest we'd seen them, compared to Amazon. Delivery came within a few days (incl. a weekend), so very pleased. Will definitely order again for our US sweets in the UK! Except no imitations, these are the best and will always be the best. thanks for such a speedy service. Hi, it's so nice to taste Dr Pepper how it should taste. Ordered got it in 2 days and well packaged. We do our very best to update the 100s of product descriptions and ingredients to ensure they are accurate, Unfortunately manufacturers are constantly changing packaging and reformulating ingredients and so this one slipped through the net. We will review the product and update the weight accordingly. Thank you for bringing it to our attention. These are lovely. Arrived very fresh and with an outstanding use by date. Very, very well priced. Great service and quick dispatch. this is easily the world's best Coca Cola, it tastes so amazingly refreshing! Placed order and was quickly called about an alternative flavour... delivered 10/04 all gone by 11/04! Kids loved it. Thanks speedy delivery and gave the kids a taste of florida on this wet and miserable half term. If you could get oreo cereal in that would be amazing!!! My favourite drink but it wasn't fizzy at all. My stepkids loved the box of "American" candy! My wife loves these things. They were reasonably priced and delivered really quickly. Good stuff! my new favourite aside from the 5th avenue bar. who doesn't love fanta grape? its worthy of a 5 star from me. The service from these guys is outstanding, will order again. Such a refreshing taste, cant get enough of it. will definitely order more again soon!